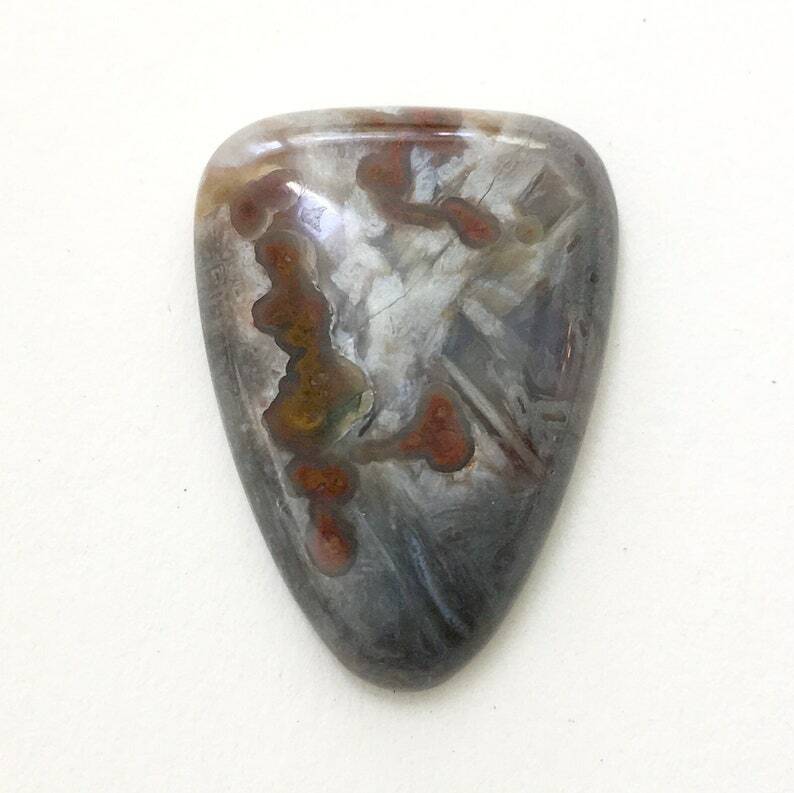 Turkish stick agate cabochon. High polish all sides. Gray with brown sticks. Perfect size for whatever you want to make. 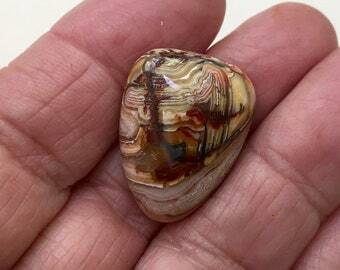 My goal is to sell beautiful and unusual exotic stone in quality cuts (easy to set- consistent, even bevels) to help make your jewelry stand far above the ordinary. green chrysoprase cabochon. 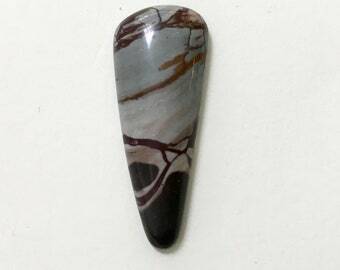 handcut 28 x 16 x 6.6 J.
polkadot agate designer cabochon. handcut 39.5 x 18 x 5.8 J.